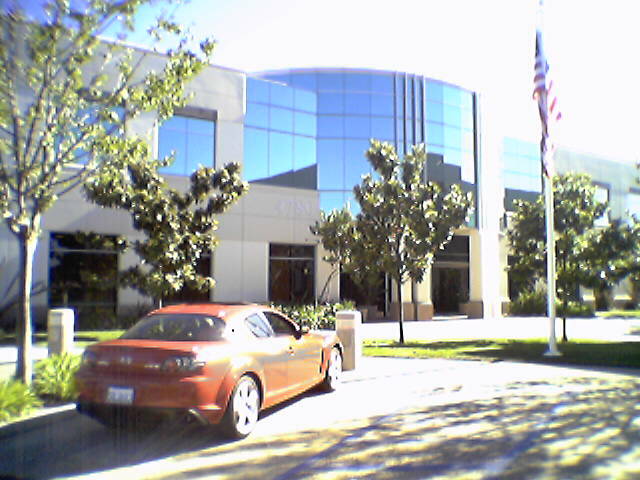 Stopped by the old MP3.com campus today on the way back from the doc's office. The first 3 years I lived in SD were spent in those buildings. But today, that place is a ghost town. It looks just like the day I left it actually, even the front desk has forms to sign in. But it's totally empty. Kinda freaky. Reminds me of late night sysadmin work. Server's down, I'm on call, burning up the backroads at 3am in the RX-7, screetching into the parking lot sideways. Good times. Looks like the parking lot was paved recently. They removed all traces of that screwup "YEILD" sign. The bottom floor of the engineering building is the only thing that looks changed, it's totally empty. Bldg 2 lobby looks exactly the same, I was almost waiting for Sonny to walk up and let me in. I hung out with some old friends this weekend that I haven't really seen since the MP3 days (1.5 yrs? ), reminded me of that place and the way things used to be. It was such a cool working environment, so many really smart, hard working people...too bad it was mis-managed, cut into bits and sold away. It still kinda irks me the way things went down for me in the end, but I walked away reasonably unscathed, and now I get to bask in the glow of working for a successful, well managed company. Compared to a continuous slide underwater 50 fold deep. I got to MP3 after the 'boom', my first day was the day we got sued, so I did nothing but watch my 'optionaire' status plummet into the depths. ESPP and watching stocks was so bogus back then. Now, I am all over it. Got the E-Trade action goin. Even wrote a new department IRC bot that queries stocks, just like Jane. Lots of fond memories at EastGate Mall Rd. Still...I shoulda done a burnout in the middle of the front sidewalk.